Happy Friday! 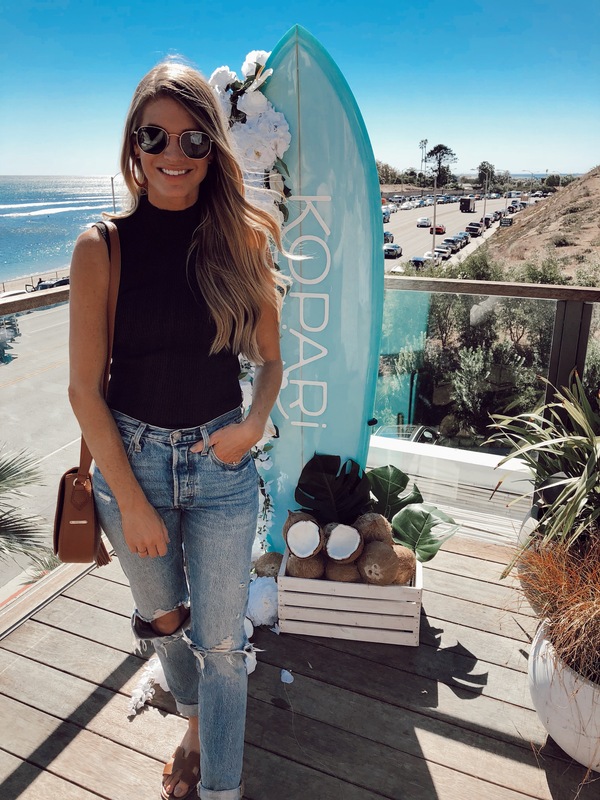 I wrote this post yesterday and found myself not knowing what day it was... then I realized it was practically the weekend and got so excited. I guess I just lost track of days this week! If you follow any influencers on Instagram, I'm sure you've seen them wearing hair clips. They are back in a big way! 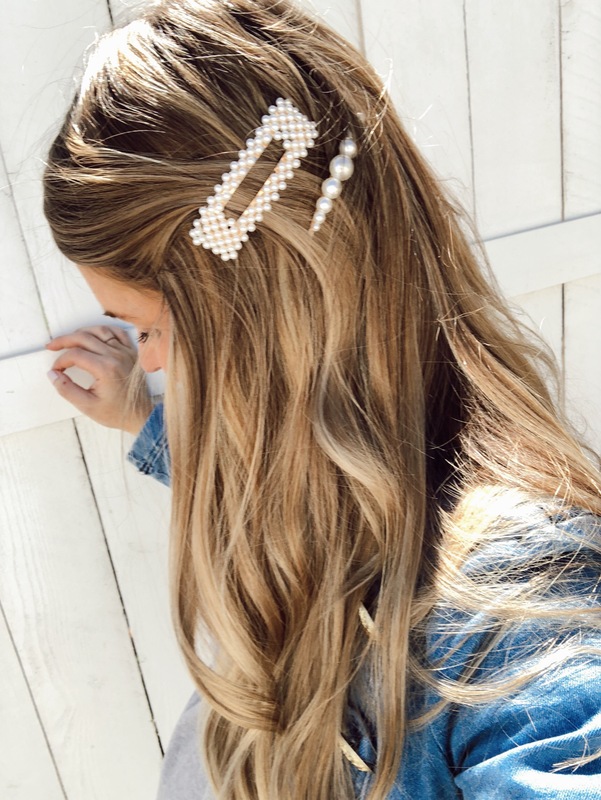 These little barrettes totally take me back and remind me of my junior high days... but like any trend that makes it's way back, they're much chicer now. Another bump shot... don't worry, there's only 7 weeks left of them. Today I thought we'd talk about something I'm asked about a lot when I'm pregnant. Pregnancy safe beauty products. It was honestly a topic I was not prepared for when I found out I was pregnant with Crosby. I was ready to give up raw fish, alcohol, etc... but beauty? It never crossed my mind. Luckily I've found several products that I love and are safe for pregnancy. Ever since I started blogging I've wanted to film a hair tutorial. It's seriously been on my list for over 5 years. I finally have a video coming to my Instagram today! Happy Friday! I can't tell you how relieved I am to have finally spilled our big secret. I'm so grateful for the support and love this community has shown us. I was washing my face the other night and noticed I had a whole bunch of products I've been using and loving to share with you. It's been awhile since I did a product roundup so what better time than now. All my current favs from the deodorant I can't stop talking about to the prenatal vitamins I'm taking for the second time. When I was pregnant with Crosby I became much more aware of the chemicals that are in most household cleaning products. I made a conscious effort to switch to more natural products because I didn't want my house to be full of chemicals for us all to inhale. Then when she was born it dawned on me that I was using a lot of products on my body that were just as bad. I began researching clean beauty items to switch to... and I started with deodorant. Linking some of my other favorite Kopari products below... everything I've tried from the brand has been amazing.